This is the cover she loved so well–and which I love too! When an author gives me a definite image like this to work with, it’s so much fun. Obviously we’re not copying the exact work. But we can isolate the ideas that appeal. In this case, it’s a woman at the top, face only partially visible. It’s a center title. And a setting photo beneath. Then we have a texture treatment pulling it all together, top and bottom. So. I started by looking for good images of her heroine, Brianna. Brianna lives in Sweden in 1885; she has blond hair, which would have been worn up, and she would obviously be wearing styles of the day. The story follows some of the first Baptists in Sweden from their home, where they were persecuted, to America. 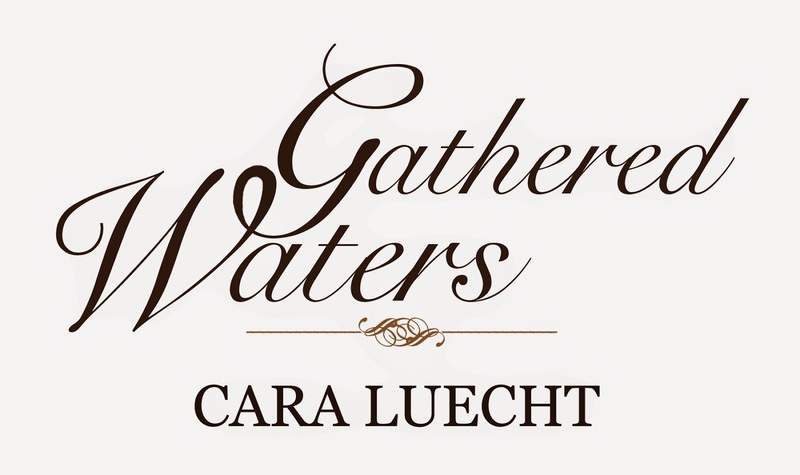 Based on the author’s family history, Gathered Waters isn’t just about religious freedom, though–it’s about a woman’s journey to finding who she is, what she’s called to do, in a world that would keep her in a narrow definition. Brianna has to find the strength and faith within her own heart to undergo this journey. When looking for a good picture of a historical heroine–as in, one with her hair up–I fall back on the trick of looking up photos of brides. I searched for “blond bride profile,” and I found our Brianna. I loved the hairstyle, I liked the way she was standing, and she was holding flowers, which would work well for me…sort of. Rather than carrying a bouquet, I wanted her to be holding a single tulip. But this lovely young lady got me started. The next step was to flip her around and delete everything I didn’t need. Obviously, deleting her dress leaves her with a floating arm–hilarious as always. I knew I was going to put some historical garb on her though, so no biggie. 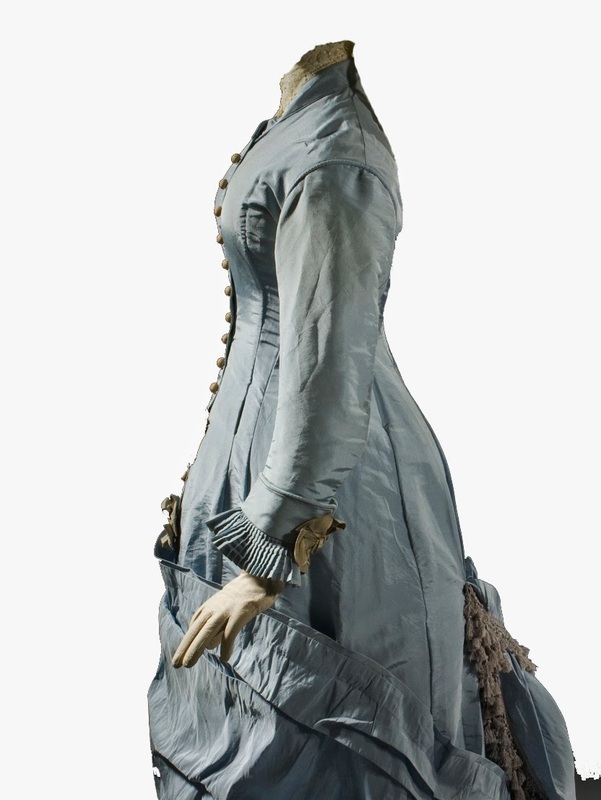 I found some great, free images of 1880 clothing in profile. This is the one we decided on. Putting the two together was a pretty simple matter of cut and paste…except for that arm. Again–hilarious. =) I know it gave me a giggle to have the arm sprouting from her stomach–but I knew the waist down would be faded out, so I could copy and paste the sleeve into the right place. First though, I had to deal with the color. While I really like the original color of the dress, the title wouldn’t show up well against it, so I wanted it to be white. I’ve tried a lot of different ways of altering color, but for this one, since I was going white but wanted to preserve the shadows, the way to do it was to go up to Image / Adjustment / Levels. Now that I had the dress the color I wanted, I worked on the sleeve. I basically just copied that portion of the image, pasted it, rotated it, and deleted the parts I didn’t want. Because the sleeve is large and stiff at the wrist, it covered the arm beautifully, with no need to convince it. And because the image would be faded out, you can’t see where the elbow folds would have been. In the image above, I’ve also already added another touch I wanted–the color in the collar and buttons. To get that, I just pasted the original dress image overtop and deleted everything but collar and buttons, which were gold to begin with. I like the contrast this achieved. I also already adjusted her hand a bit–because she was holding a large bouquet, her fingers were spread. To make her hold a single tulip, her fingers needed to be curled tight. So I just deleted the extra length of finger, careful to “trim” it around the knuckles. So next comes the tulip. I found a picture of white tulips for free. I copied a flower. I copied a leaf. I used the Warp feature to bend it a bit. Put it in her hand. And voila. So there’s the top of the book. Now for the bottom. I was thrilled to find this gorgeous picture of a Swedish stream in winter. The water, the snow, the daybreak all play critical roles in the story, and the lighting here was just breathtaking. I am, as I’ve no doubt said before, a sucker for good lighting. Isn’t it gorgeous?? Now, if I were to just plop it down, it would look not-so-gorgeous, like this. We’re getting there! But I didn’t want a white background behind Brianna. So I instead made it a soft yellow and then added some lighting effects. Muuuuuch better, right? I like how the colors play off each other now, and it’s starting to feel more harmonious. But I don’t just want a smooth texture like that. Upon giving it some thought, I decided a frost or snowflake texture would be cool. At first I think blue would be nice. So I decide on this. I try putting it over my cover, fading the opacity to 40%. Which, um, no. Isn’t what I’m going for. I don’t like how the cyan blue works with the golds. BUT–Photoshop has some super cool blending options for individual layers. Rather than keep this one’s blending “normal,” I choose “divide,” and suddenly I have exactly what I’m looking for. Isn’t that texture nice?! I love it. So now for the words. I opt for the simple elegance of SnellRoundhand Script for my font. I decide to make the two beginning letters larger than the rest and line them up. Tossing in a simple divider and Cara’s name, I get this. I really like this…mostly. But I’d rather, if the G and W are going to cross, that they actually join. I love the harmony of it when letters join up on a cover. So I rasterize those layers so that I can alter the font and create a loop. Like so. Isn’t that cool? =) So then I just put it onto the cover, and there we have it! The final! but is it something they can give up everything for? Brianna has only ever been what her life demanded. A wife, a hostess, a mother. But when a stand her husband takes ostracizes them from the Lutheran church that controls so much of life in Sweden, Brianna finds herself needing to find a strength beyond her station…a strength that will see her through prejudice and persecution and to a home she never dreamed she would find. Based on the true story of the author’s family’s journey from Sweden to America, this sweeping saga paints the brilliance of new faith, the bravery of a new land…and the beauty of plunging beneath the waters and emerging a new person, capable of what one never thought one could do.